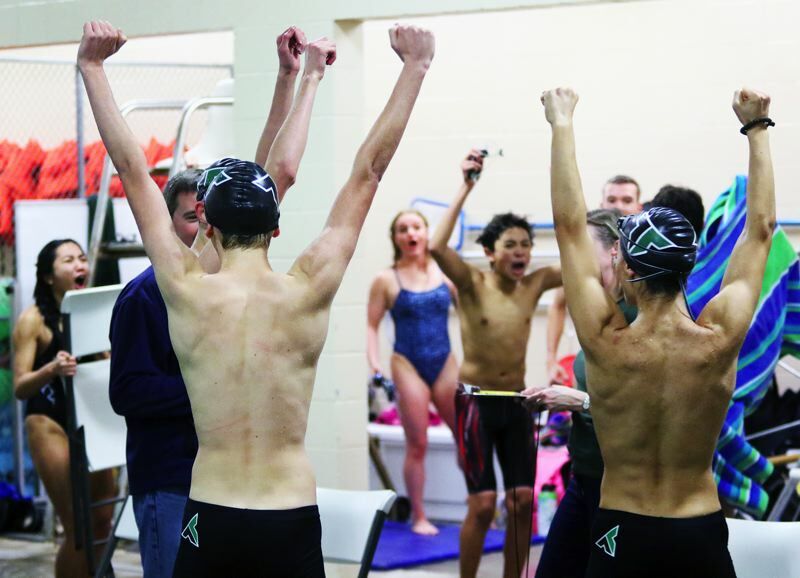 TIGARD — It was an exciting day for the Tigard High School boys swim team. And it was another big day for Ben Miller. 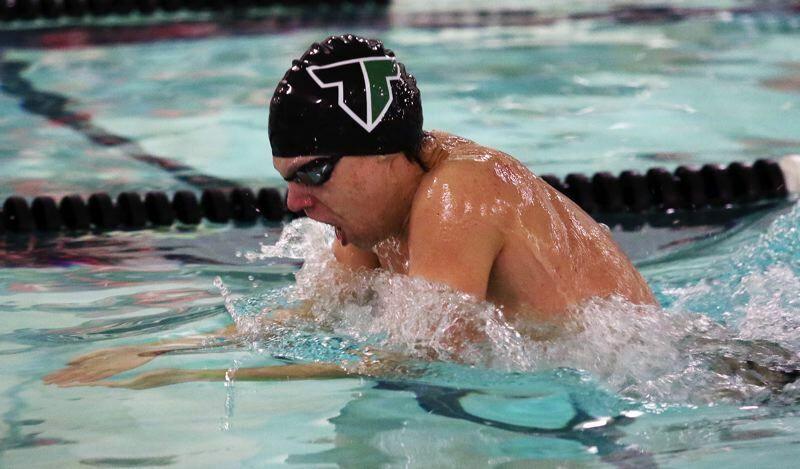 With Miller, a Tigard senior, helping lead the way, the Tigers swam to an 82-78 win over Lake Oswego in a Three Rivers League dual meet held last Thursday at the Tigard Swim Center. "That was just awesome," Miller said after the final score was announced. "The team really came together, and we were all cheering each other on. It just feels so good to get a win at this point of the season." With the victory, the young Tigard boys team improved to 2-3 in league dual meets. "A lot of people have come together," Miller said. "People are getting experience real quick. It's really great to see how much everyone has progressed throughout the season. That was just really fun." Miller, to no surprise, played a big part in the win. He won the 200-yard freestyle event in a time of 1 minute, 47.00 seconds, and he had a winning mark of 51.46 in the 100 butterfly. In the 200 medley relay, Miller teamed with sophomore Nathaniel Whitehead, senior Eli Maher and senior Cameron Williamson to pick up a victory in a time of 1:43.94. In the 400 freestyle relay, the team of Miller, sophomore Jaden Nguyen, Williamson and Whitehead triumphed in 3:32.29. "It was pretty good for where we are right now," Miller said. "We've all been working hard, so we're beat down and tired. So I'm pretty happy for it being this point of the season." Miller, a Northwestern University commit, has already had a record-breaking season. He broke the Tigard pool record in both the 200 individual medley and the 100 butterfly during the Tigers' meet with West Linn on Jan. 17. "I always surprise myself with how fast I can go in these meets," Miller said with a laugh. 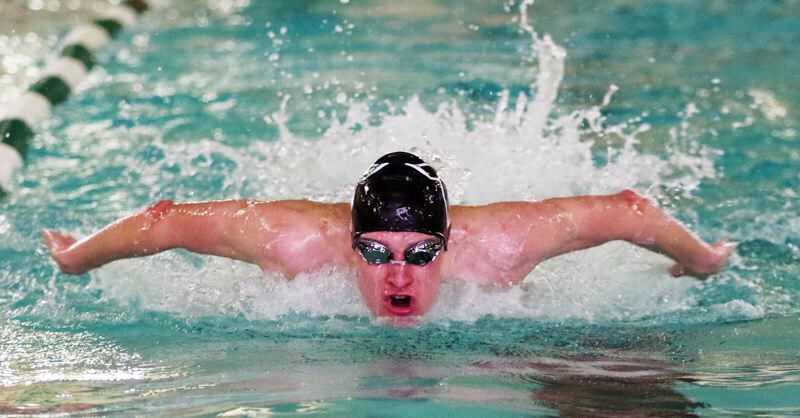 Now, Miller, who finished second in the 100 butterfly and third in the 200 individual medley at last year's Class 6A state meet, is looking at the final three meets of his high school career — this Thursday against rival Tualatin, followed by the Three Rivers League district meet and the Class 6A state championships. "It's been going pretty well, actually. It's kind of been shifting the focus from college to and just having fun now. I'm just able to focus on having fun and swimming fast," Miller said. "At district and state I'm just going to go for it. I want to beat my best times in the IM and the fly." Whitehead also was a four-time winner for the Tigard boys at last week's meet. In addition to the relays, he swam to victory in the 500 freestyle in 5:01.20, and he had a winning mark of 1:05.46 in the 100 breaststroke. The Tigard girls fell 98-72 to Lake Oswego at last week's meet. With the setback, the Tigers moved to 2-3-1 in league meets. Tigard senior Kaitlyn Wornath swam to victory in the 100 butterfly in a time of 1:00.17. Tiger freshman Abbigale Elliott was second in the 200 freestyle in 2:07.81 and she was the runner-up in the 100 freestyle in 59.07. Sophomore MacKenzie Guentert was second in the 100 backstroke in 1:11.90. Senior Sahana Saravanan was second in the 100 breaststroke in 1:13.70, and she was second in the 200 individual medley in 2:20.41. The Tigers' meet with Tualatin is set to start at 4 p.m. on Thursday at the Tigard Swim Center.